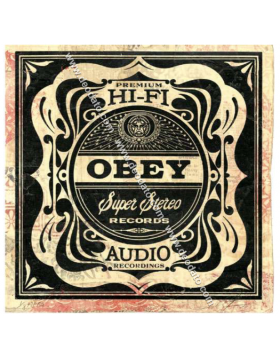 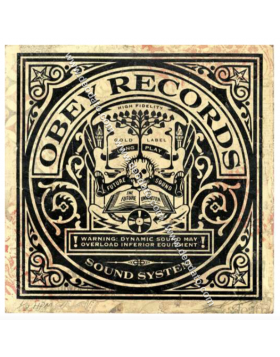 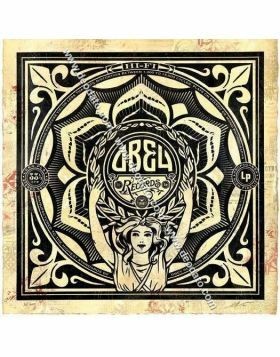 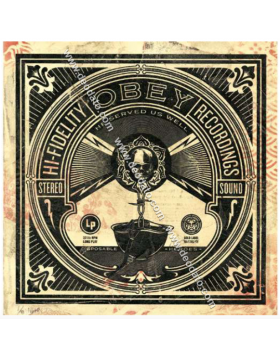 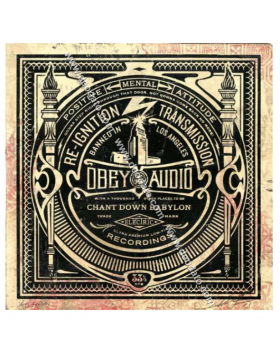 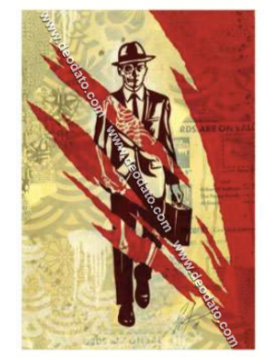 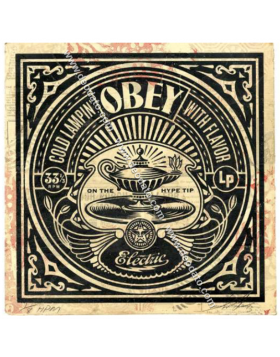 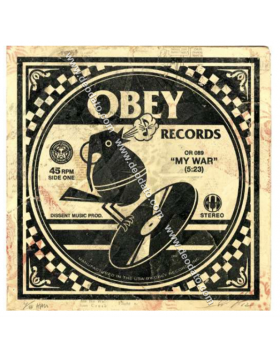 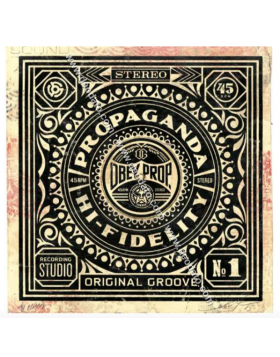 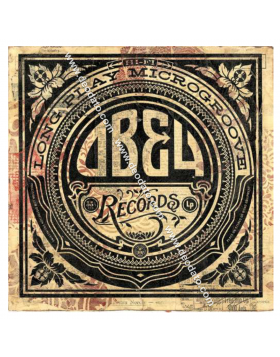 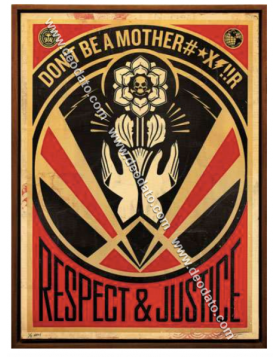 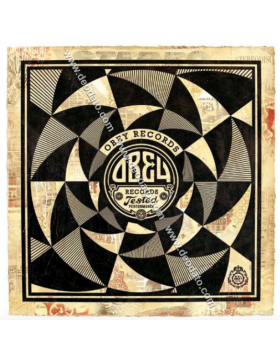 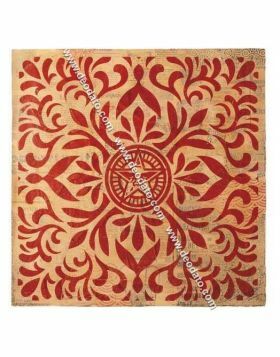 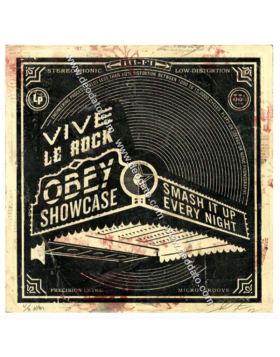 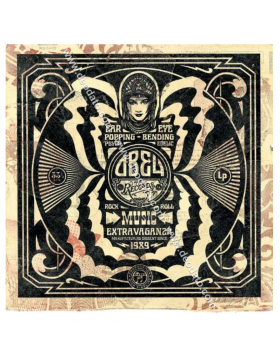 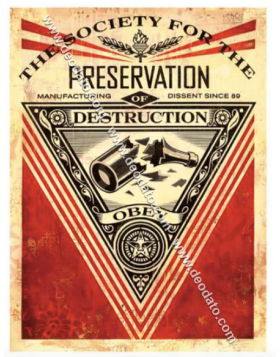 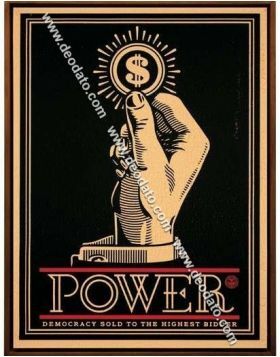 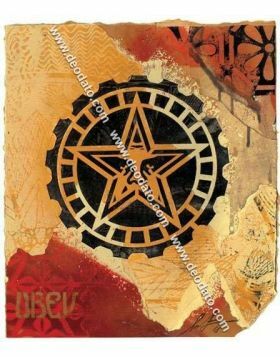 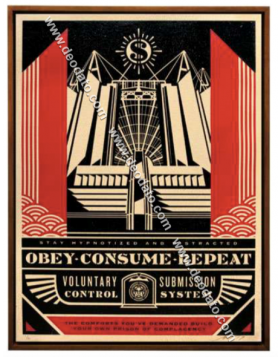 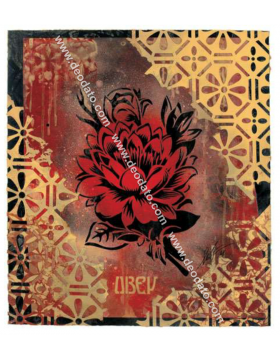 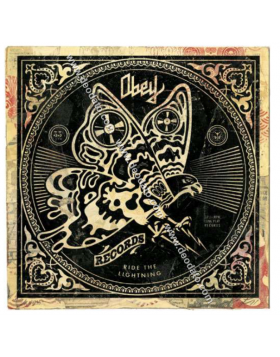 Fairey Shepard, in art Obey, was born in South Carolina in 1970 and he graduated at the Rhode Island School of Design. 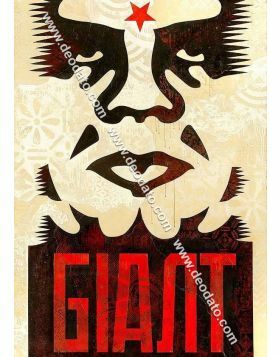 He is the most important exponent of the street poster art and reached world fame, with the "Hope" illustration of Barack Obama for the democratic campaign of 2008. 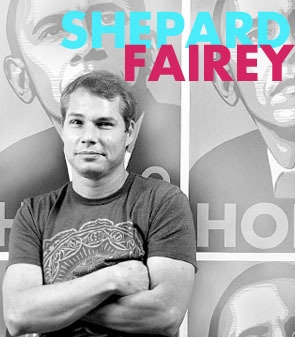 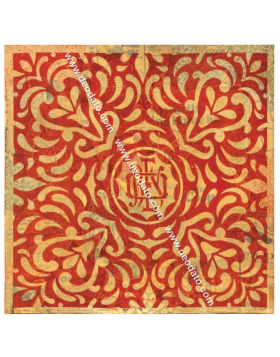 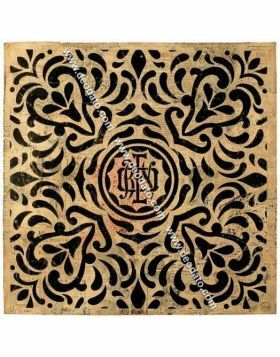 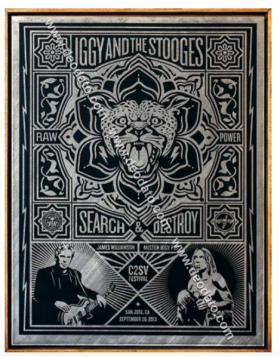 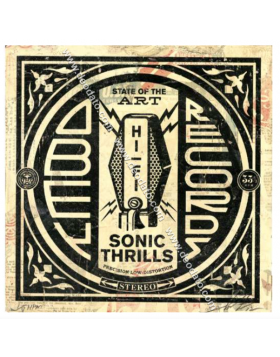 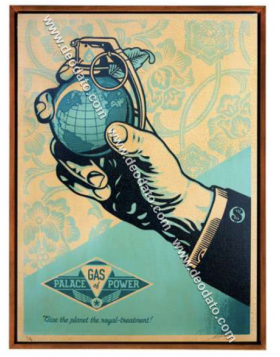 Fairey worked on several projects: music, politics, political activism, design, guerrilla marketing, cinema, Obey works are exhibited in important galleries and museum around the world. 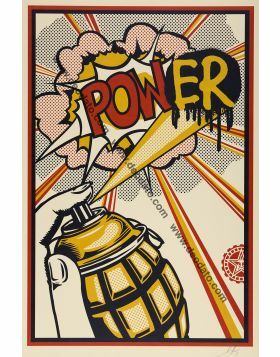 His artworks are really distinguishable, and the message they spread is strong and clear because the street art uses a visual language that arrives to everyone. 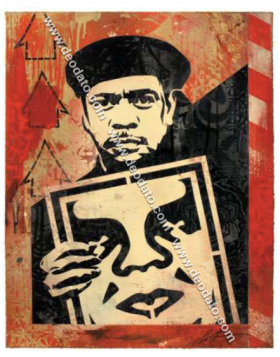 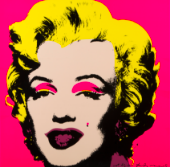 As other street artists, but not only, his artworks start from the street and then follow two different paths: on one hand there are the print editions of these works, more affordable and nearer to everyone possibilities, on the other hand there are the museum pieces, like the ones exposed at the Moma, the Smithsonian, or the Victoria and Albert museum.